“Ioan Gruffudd plays William Wilberforce, who, as a Member of Parliament, navigated the world of 18th Century backroom politics to end the slave trade in the British Empire. Albert Finney plays John Newton, a confidante of Wilberforce who inspires him to pursue a life of service to humanity. 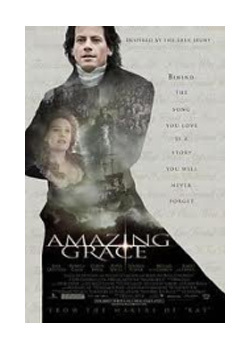 Benedict Cumberbatch is William Pitt the Younger, England’s youngest ever Prime Minister at the age of 24, who encourages his friend Wilberforce to take up the fight to outlaw slavery and supports him in his struggles in Parliament.